If you've been to Italy, you have been to Rome, Venice and Florence. Have you been to Naples? If you've been to Naples, you've been to the two castles, the Naples Archeological Museum, the ruins of Pompeii and perhaps Sorrento or Capri. Have you been to the Cappella Sansevero? I consider this chapel one of Italy's best-kept secrets. 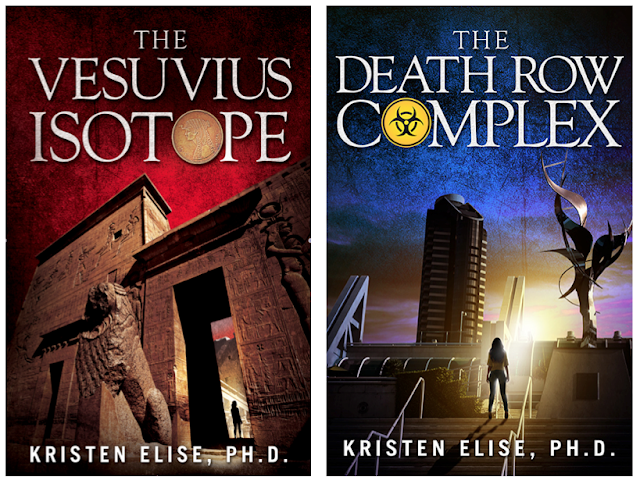 When my editor stepped out of Chapter Fourteen of The Vesuvius Isotope, she asked me, "Why have I never heard of this chapel?" Excellent question. To be fair, it is a hole in the wall. I mean, we're talking, practically impossible to get to. It took me three attempts before I actually found it, and that was with GPS on my phone. The winding, labyrinth-like historical center of Naples is full of signs directing lost tourists to the major sites. But not this one. But the relative obscurity of the Cappella Sansevero really needs to change, IMHO. Not only is the chapel itself amazing, but it holds some fascinating, if lesser-known, history. And arguably some of the most incredible sculptures in the world. 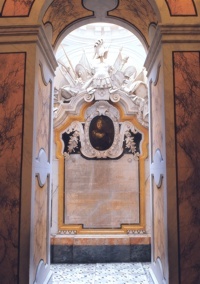 The chapel is the vision of Raimondo di Sangro, scientist, alchemist, and the Prince of Sansevero. At about 0.50 of the video, we see the chapel as a whole. Centered beneath the altar is a piece that is truly hard to even fathom. The Dead Christ, also referred to as The Veiled Christ, was carved by Giuseppe Sanmartino from a single slab of marble. Even that delicate, transparent veil. 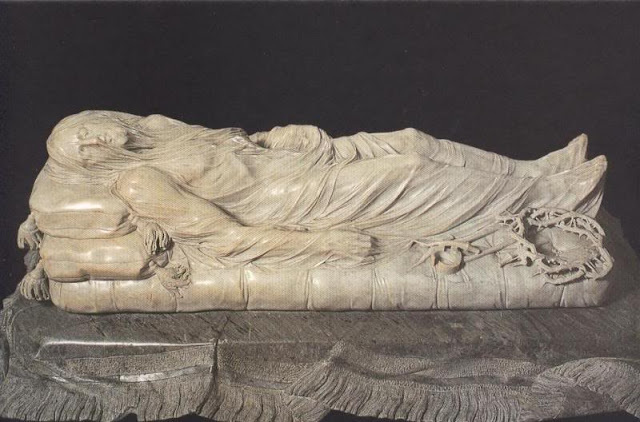 At 1:27, we see another veiled sculpture, a counterpart as impressive as The Veiled Christ. 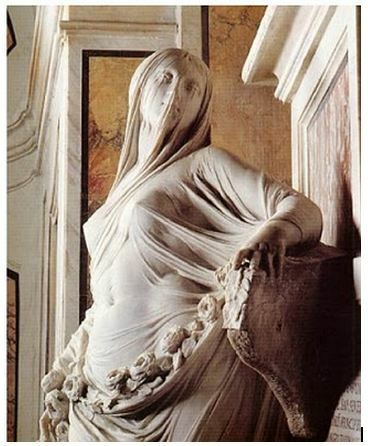 This is Modesty, a vision of Mary Magdalene. The statue is a representation of the Biblical scene in which Christ appears to Mary Magdalene dressed as a gardener. The chapel stands on the site of a former Temple of Isis, and where Modesty now stands, a statue of Isis once stood. Modesty makes here the same statement first attributed to the veiled Isis: Nature loves to hide. The third statue in the Triad of Artistic Excellence is shown at 3.15. 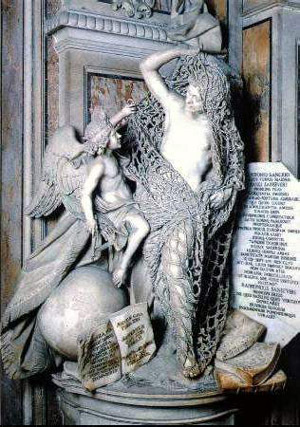 This statue, Disillusioned, shows a man struggling to emerge from within a binding net. It is a statement from di Sangro, a follower of Englightenment principles, of light emerging from darkness - knowledge from ignorance. Di Sangro lived his life on a quest for knowledge. Grand Master of the Neapolitan Freemasons and a Rosicrucian, it was he who first attempted to unroll the recovered papyrus scrolls from Herculaneum's lost Villa dei Papiri. Unfortunately, the scrolls dissolved when di Sangro immersed them in mercury. But there are many examples within this chapel of success in the science of the Prince of Sansevero. At about 3:45, we see the chapel's ceiling. Di Sangro did not paint it, but he invented the paints. To this day, it is unknown how he composed them, but the ceiling of the Sansevero chapel represents one of the most well-preserved frescoes from the Baroque era. He also created the epitaph for his own tomb. The epitaph is not engraved, but rather chemically etched. Again, nobody knows now. At 4:50 of the video we enter the underground chamber beneath the chapel, and it is here that we see perhaps the most disturbing experiment of Raimondo di Sangro. 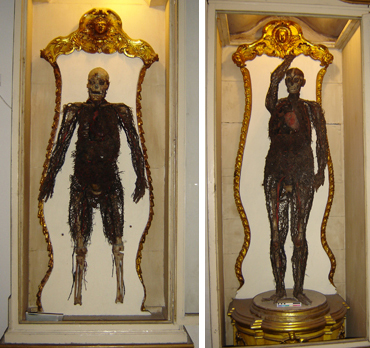 The "anatomical machines" are actual corpses - one a man, the other a pregnant female - which di Sangro somehow preserved for posterity, their entire circulatory systems on display as they emerge from petrified hearts. 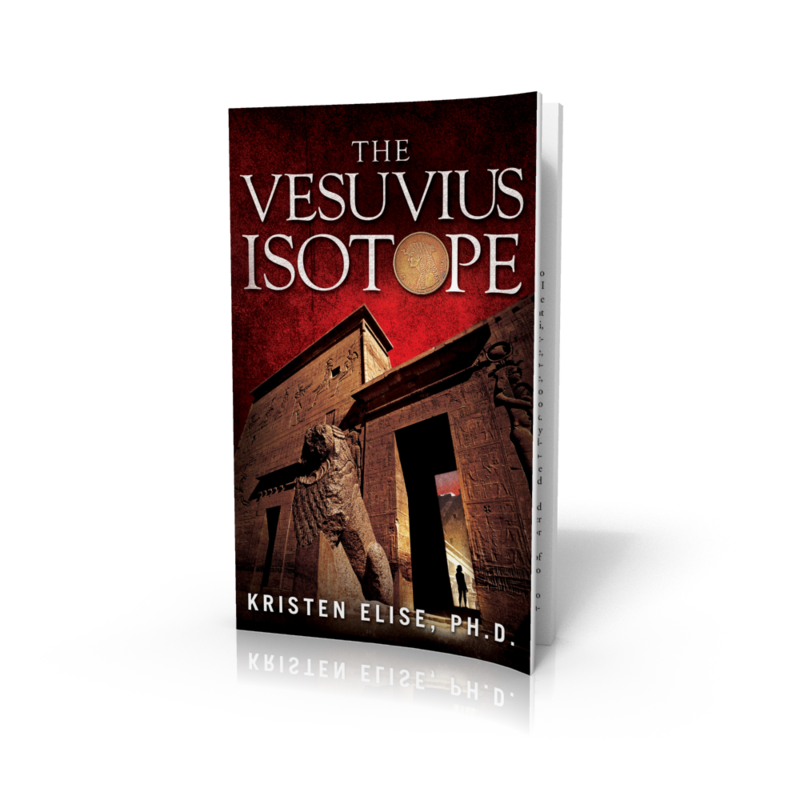 It is not known how di Sangro accomplished this preservation, but it is rumored that he injected these poor souls - thought to be servents who had angered him - with mercury while they were still alive. Di Sangro created the underground chamber and adjacent to it, a tunnel that led to his laboratories beneath the chapel. He had originally intended for the underground chamber to hold his own tomb, which would be illuminated by his "eternal flame" - a flame that would burn forever without refueling. Toward the end of his life, he claimed to have actually accomplished this invention. And then, to guard his scientific secrets forever, he burned his laboratories to the ground. For more information, visit the chapel's website. Since, therefore, it cannot be doubted that this is a true light, similar to our candles or lamps, and has burned three months and some days without any reduction in the material used for fuel, it can rightly be called perpetual, much more so than those imaginary lights which can sometimes be found in the ancient tombs and any other light which does not have the same properties as mine, i.e. all the qualities of other natural flames, does not deserve to be called eternal. For the poor people from the streets near the di Sangro Chapel, the Neapolitan incarnation of Dr. Faustus made a pact with the devil, and almost became a devil himself, to master the most secret mysteries of nature.